It's time for another new release. After several upgrades of our J1.5 Templates to J2.5, our new template is completely new designed for todays standards in web technology. 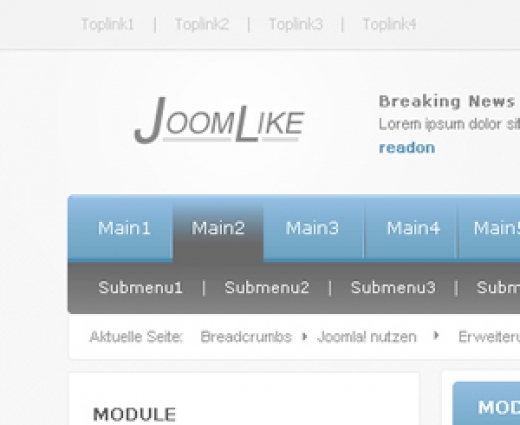 In the coming days "JoomLike" will be released on this website.